NEW VERTICAL WALL COURSE ANNOUNCED AT THE HIGHER SPACE! 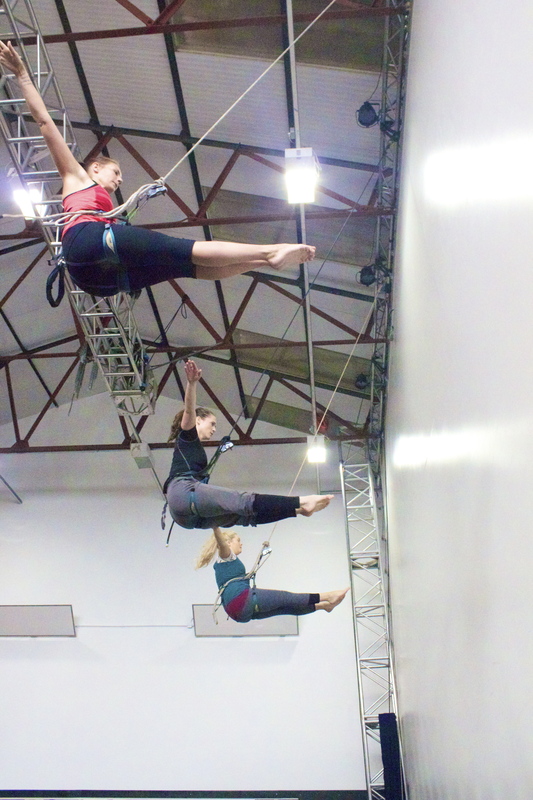 BEGINNER VERTICAL WALL WORKSHOPS are coming in to land in OCTOBER 2014 at Wired Aerial Theatre’s fresh and funky HQ – THE HIGHER SPACE. Grab the opportunity to learn new and exciting skills and train with our aerial specialists! This vertical wall workshop will run in October 2014 and take place over 4 consecutive weeks. BEGINNERS' LEVEL: Previous aerial experience not essential, suitable for dancers or people with a general good level of fitness. WHAT TO EXPECT: Wearing a climbing harness, you will be connected to your rope, working a short way from the floor. Our beautiful tensioned fabric wall will become your giant bouncy floor as you literally flip your body and your mind 90°. Initial exercises and postures help to change participant’s perception of what it means to stand vertically while working in a different plane. We teach specific exercises that train the body to build strength and stamina. Wired use imagery to aid skill development and to build awareness when working on the vertical wall. Students learn to pendulum, swing, roll, jump and fly (which can only be done on a wonderfully soft and bouncy fabric wall) and of course running and leaping from side to side. Come and feel like a warrior! WHAT TO WEAR: Comfortable clothes enabling free movement, no exposed flesh around your waist or the top of legs, layers are best worn to protect skin from harness rubbing. Leotard or swimming costume is ideal as a slippery base layer. HOW MUCH: The course costs £80 in total – participants must commit to all sessions. *The 1st week will include an introduction to the course and equipment. Get fit, have fun and come fly with us! Click HERE for more info, T&C’s and for access to a booking form.